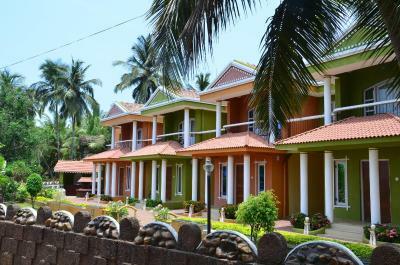 Offering air-conditioned duplex villas at Betalbatim Sunset Beach, Goa, A’s Holiday Beach Resort features an outdoor swimming pool and a massage parlour. Free Wi-Fi is available throughout the property. A’s Beach Resort is located 17.4 miles from the eco-tourism spot of Spice Garden. The Se Cathedral Church is 18.6 miles away while the North Goa Beaches are 22.4 miles away. The closest transport facility is the Madgaon Railway Station that is 5 miles from the property. Goa International Airport is 9.9 miles. Attached with a private balcony, the villas include a minibar, sofa and flat-screen satellite TV. Tea/coffee making facilities are available. 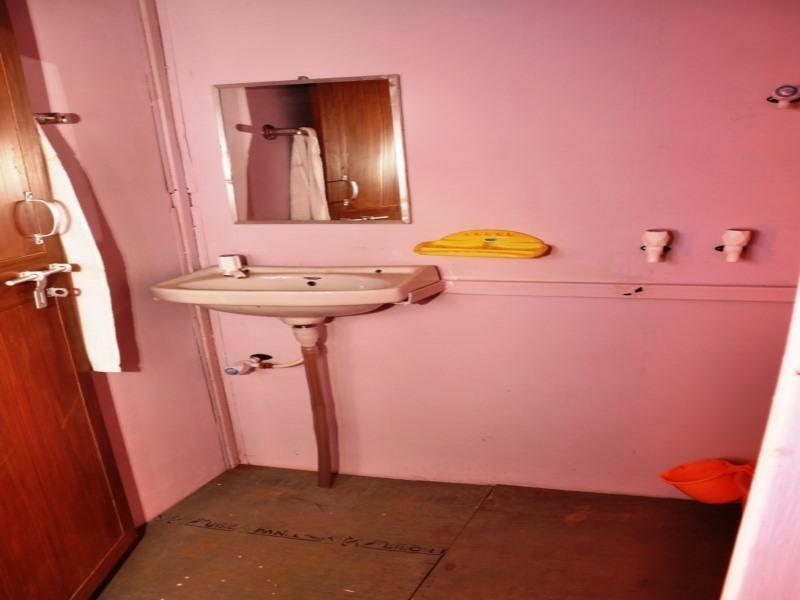 The private bathrooms come with basic amenities, shower and hairdryer. The staffs at 24-hour front desk are happy to help the guests with breakfast buffet, library and laundry. Guests can enjoy BBQ facilities. Tour desk is available for currency exchange and sightseeing. Guests interested in exploring the area on their own can rent a car. A’s in-house restaurant, Café Bada, serves a selection of local, Indian, Chinese and Continental dishes. Guests can enjoy private dining with room service. Set in a prime location of Bandhavgarh, Bagh Tola Bandhavgarh puts everything the city has to offer just outside your doorstep. Both business travelers and tourists can enjoy the hotel's facilities and services. All the necessary facilities, including 24-hour front desk, Wi-Fi in public areas, car park, room service, airport transfer, are at hand. Each guestroom is elegantly furnished and equipped with handy amenities. The hotel offers various recreational opportunities. A welcoming atmosphere and excellent service are what you can expect during your stay at Bagh Tola Bandhavgarh. Ideally located in the prime touristic area of Kalimpong, Hotel Sinclairs Retreat Kalimpong promises a relaxing and wonderful visit. The hotel offers guests a range of services and amenities designed to provide comfort and convenience. Express check-in/check-out, luggage storage, valet parking, car park, room service are on the list of things guests can enjoy. Designed for comfort, selected guestrooms offer non smoking rooms, heating, wake-up service, desk, mini bar to ensure a restful night. Access to the hotel's fitness center, outdoor pool, spa, massage, children's playground will further enhance your satisfying stay. Hotel Sinclairs Retreat Kalimpong is an excellent choice from which to explore Kalimpong or to simply relax and rejuvenate. Clarks Inn Grand is perfectly located for both business and leisure guests in Gorakhpur. The hotel has everything you need for a comfortable stay. To be found at the hotel are free Wi-Fi in all rooms, 24-hour room service, Wi-Fi in public areas, valet parking, car park. Some of the well-appointed guestrooms feature internet access ? wireless, internet access ? wireless (complimentary), non smoking rooms, air conditioning, desk. The hotel offers various recreational opportunities. A welcoming atmosphere and excellent service are what you can expect during your stay at Clarks Inn Grand. 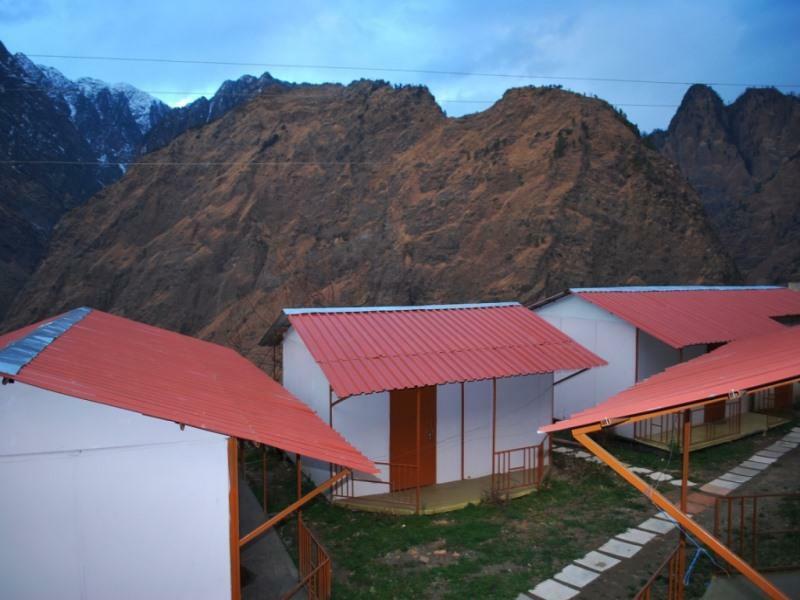 The 2-star Heritage Camp Hotel offers comfort and convenience whether you're on business or holiday in Joshimath. Both business travelers and tourists can enjoy the hotel's facilities and services. Facilities like 24-hour front desk, 24-hour room service, luggage storage, car park, room service are readily available for you to enjoy. Some of the well-appointed guestrooms feature desk, balcony/terrace, soundproofing, fan, television. The hotel offers various recreational opportunities. 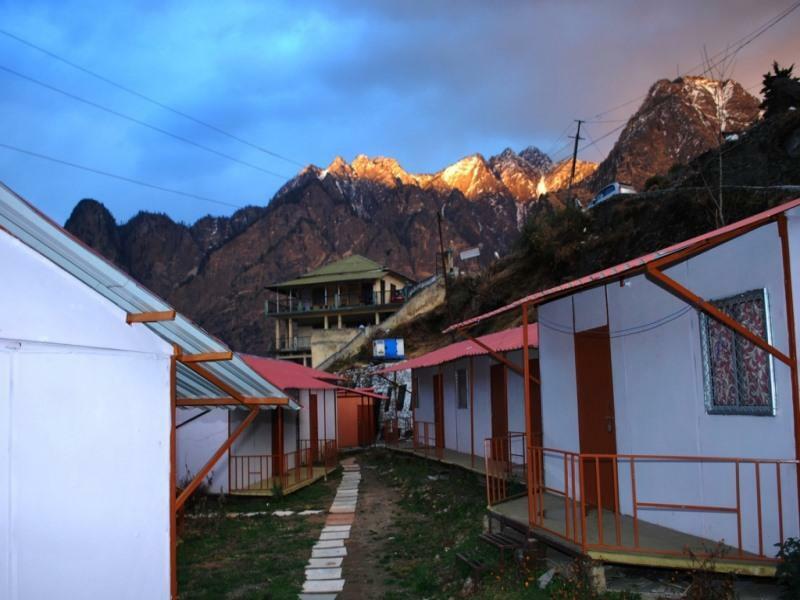 Friendly staff, great facilities and close proximity to all that Joshimath has to offer are three great reasons you should stay at Heritage Camp Hotel. Stop at Hotel Radhika Regency to discover the wonders of Rourkela. The hotel offers a wide range of amenities and perks to ensure you have a great time. To be found at the hotel are free Wi-Fi in all rooms, 24-hour front desk, 24-hour room service, express check-in/check-out, luggage storage. Some of the well-appointed guestrooms feature internet access - wireless (complimentary), non smoking rooms, air conditioning, desk, mini bar. Entertain the hotel's recreational facilities, including fitness center, kids club, games room. Hotel Radhika Regency combines warm hospitality with a lovely ambiance to make your stay in Rourkela unforgettable. Royal Residency Hotel is a popular choice amongst travelers in Gorakhpur, whether exploring or just passing through. The hotel offers a wide range of amenities and perks to ensure you have a great time. Service-minded staff will welcome and guide you at the Royal Residency Hotel. Guestrooms are designed to provide an optimal level of comfort with welcoming decor and some offering convenient amenities like non smoking rooms, air conditioning, heating, wake-up service, desk. The hotel offers various recreational opportunities. Royal Residency Hotel combines warm hospitality with a lovely ambiance to make your stay in Gorakhpur unforgettable. Quality Inn Regency is perfectly located for both business and leisure guests in Nasik. Both business travelers and tourists can enjoy the hotel's facilities and services. Free Wi-Fi in all rooms, 24-hour front desk, 24-hour room service, luggage storage, valet parking are on the list of things guests can enjoy. Guestrooms are designed to provide an optimal level of comfort with welcoming decor and some offering convenient amenities like internet access - wireless, internet access - wireless (complimentary), air conditioning, desk, mini bar. Access to the hotel's fitness center, outdoor pool, pool (kids), squash courts, billiards will further enhance your satisfying stay. Friendly staff, great facilities and close proximity to all that Nasik has to offer are three great reasons you should stay at Quality Inn Regency. 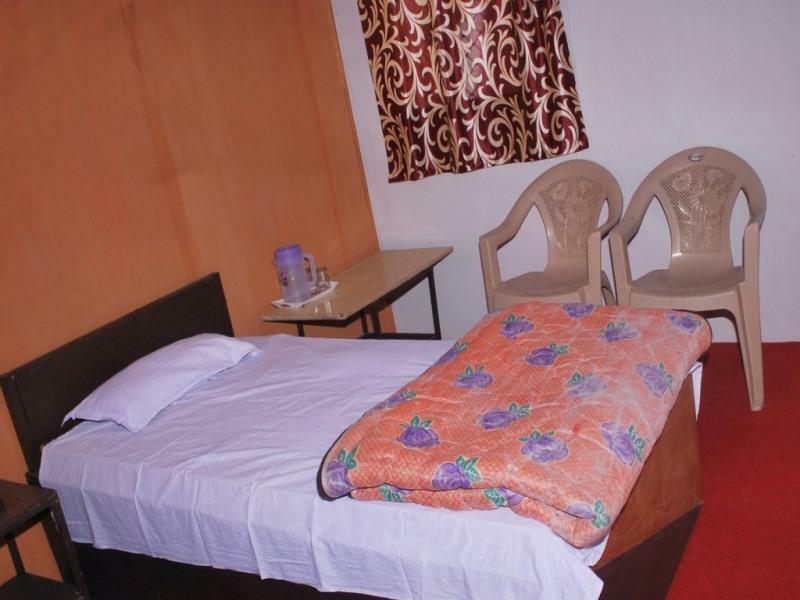 Hotel Apex is conveniently located in the popular Bharuch area. The property features a wide range of facilities to make your stay a pleasant experience. Free Wi-Fi in all rooms, 24-hour front desk, 24-hour room service, luggage storage, Wi-Fi in public areas are on the list of things guests can enjoy. In-room tablet, internet access ? wireless, internet access ? wireless (complimentary), non smoking rooms, air conditioning can be found in selected guestrooms. The hotel offers various recreational opportunities. Hotel Apex is an excellent choice from which to explore Bharuch or to simply relax and rejuvenate. Stop at Hotel Raj Palace to discover the wonders of Ahmednagar. The hotel offers a wide range of amenities and perks to ensure you have a great time. 24-hour security, daily housekeeping, postal service, printer, taxi service are there for guest's enjoyment. Each guestroom is elegantly furnished and equipped with handy amenities. The hotel offers various recreational opportunities. For reliable service and professional staff, Hotel Raj Palace caters to your needs. Country Inn and Suites By Carlson is a popular choice amongst travelers in Ajmer, whether exploring or just passing through. The hotel offers a wide range of amenities and perks to ensure you have a great time. 24-hour front desk, 24-hour room service, facilities for disabled guests, luggage storage, valet parking are there for guest's enjoyment. Some of the well-appointed guestrooms feature non smoking rooms, air conditioning, wake-up service, desk, balcony/terrace. Recuperate from a full day of sightseeing in the comfort of your room or take advantage of the hotel's recreational facilities, including hot tub, fitness center, outdoor pool, spa, massage. Friendly staff, great facilities and close proximity to all that Ajmer has to offer are three great reasons you should stay at Country Inn and Suites By Carlson. Hotel Southern Star - Hassan is a popular choice amongst travelers in Hassan, whether exploring or just passing through. The hotel offers guests a range of services and amenities designed to provide comfort and convenience. Service-minded staff will welcome and guide you at the Hotel Southern Star - Hassan. All rooms are designed and decorated to make guests feel right at home, and some rooms come with internet access - wireless (complimentary), non smoking rooms, air conditioning, wake-up service, desk. Take a break from a long day and make use of massage. Friendly staff, great facilities and close proximity to all that Hassan has to offer are three great reasons you should stay at Hotel Southern Star - Hassan. Hotel Galaxy is a popular choice amongst travelers in Allahabad, whether exploring or just passing through. The hotel offers guests a range of services and amenities designed to provide comfort and convenience. Free Wi-Fi in all rooms, casino, 24-hour front desk, 24-hour room service, facilities for disabled guests are there for guest's enjoyment. Comfortable guestrooms ensure a good night's sleep with some rooms featuring facilities such as internet access - wireless, internet access - wireless (complimentary), non smoking rooms, air conditioning, heating. The hotel offers various recreational opportunities. Discover all Allahabad has to offer by making Hotel Galaxy your base. Set in a prime location of Jammu, Meridian Palace puts everything the city has to offer just outside your doorstep. The hotel offers guests a range of services and amenities designed to provide comfort and convenience. To be found at the hotel are free Wi-Fi in all rooms, 24-hour security, convenience store, daily housekeeping, fireplace. Each guestroom is elegantly furnished and equipped with handy amenities. The hotel offers various recreational opportunities. A welcoming atmosphere and excellent service are what you can expect during your stay at Meridian Palace. Ideally located in the prime touristic area of Morbi, Hotel Ravi Residency promises a relaxing and wonderful visit. The hotel offers a wide range of amenities and perks to ensure you have a great time. Free Wi-Fi in all rooms, 24-hour front desk, 24-hour room service, express check-in/check-out, luggage storage are on the list of things guests can enjoy. Designed for comfort, selected guestrooms offer internet access – wireless (complimentary), non smoking rooms, air conditioning, wake-up service, balcony/terrace to ensure a restful night. The hotel offers various recreational opportunities. Hotel Ravi Residency combines warm hospitality with a lovely ambiance to make your stay in Morbi unforgettable.